New Jersey weather is often severe, and it can take quite a toll on your home. Especially causing leaks and cracks in your foundation and foundation wall. The force of ground water is strong enough that it can seep in through these spaces, oftentimes resulting in serious flooding. Don’t create a breading ground for mold in your basement. Green Restoration & Reconstruction basement waterproofing services can fix your leaky or flooding basement problems once and for all! Our company is supported by the National Weatherproof Members of America. NWMOA has over 35 years of experience in the waterproofing industry. Recognized by waterproofing professionals as leader in the development of hybrid waterproofing systems, NWMOA integrates the best the industry has to offer in water management. When you choose an NWMOA member you’re not only guaranteed a dry basement, but added value to your home! 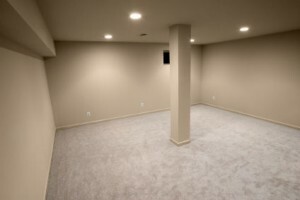 With a clean, dry, healthy basement the possibilities are endless – add a bedroom, increase storage space, create a rec room and enlarge your living space. Let Green Restoration transform your dark, wet basement into a clean, healthy room for you and your family to enjoy for years to come.